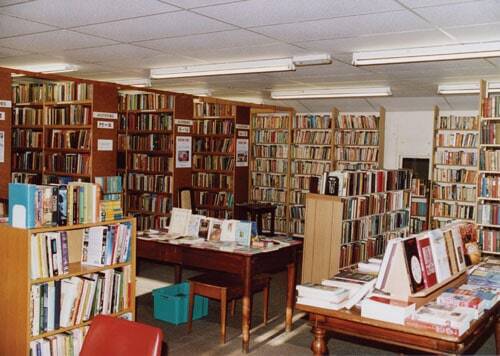 Book Aid currently has six bookshops around the UK, in Barnard Castle, Dundee, London, Ranskill, Templepatrick (Northern Ireland) and Warrington. 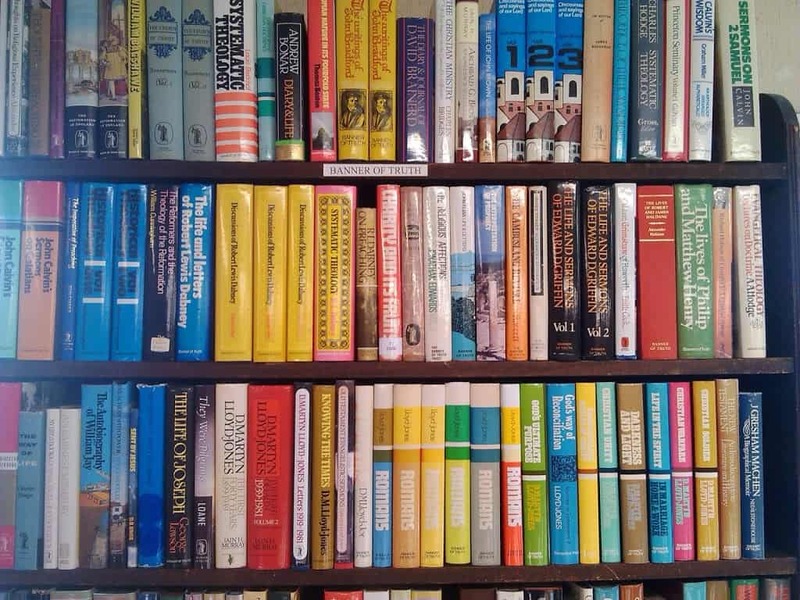 I visited the London bookshop on Friday and was amazed both by the quality of the stock and the low prices being charged. 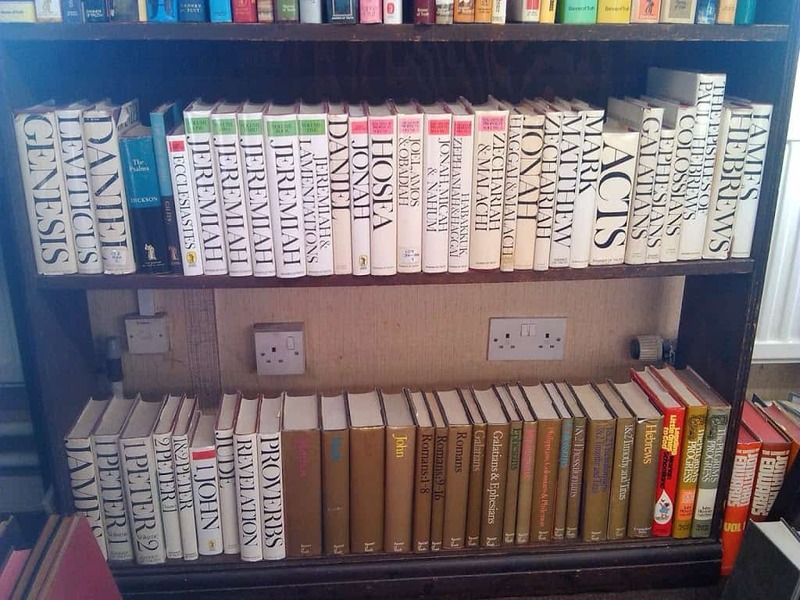 In my opinion all theological students in the UK should beat a path to their nearest Book Aid bookshop in order to equip themselves with a good library. Here are some pictures so that you will be able to see a small sample of the vast range of titles the London shop currently has on sale. 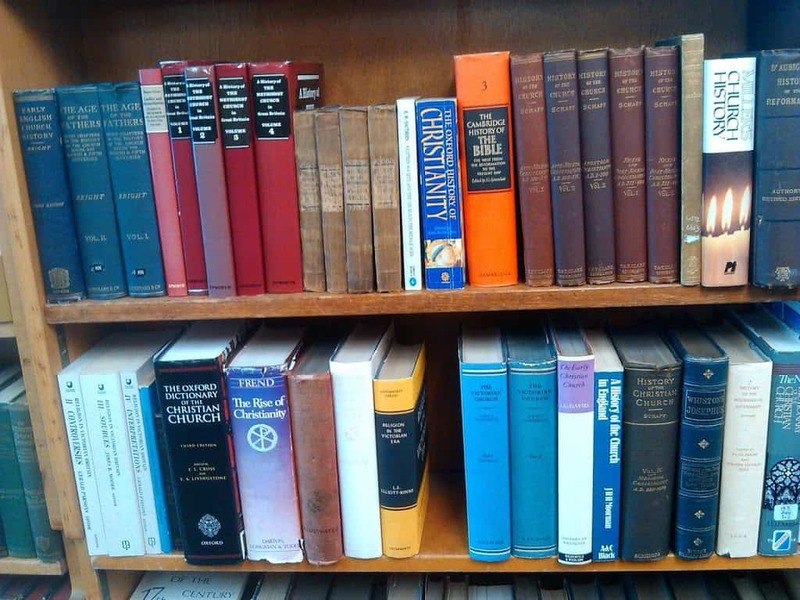 Church History, including the Oxford Dictionary of the Christian Church (3rd edn. – £10 I think), W.H.C. Frend’s The Rise of the Christianity, etc. 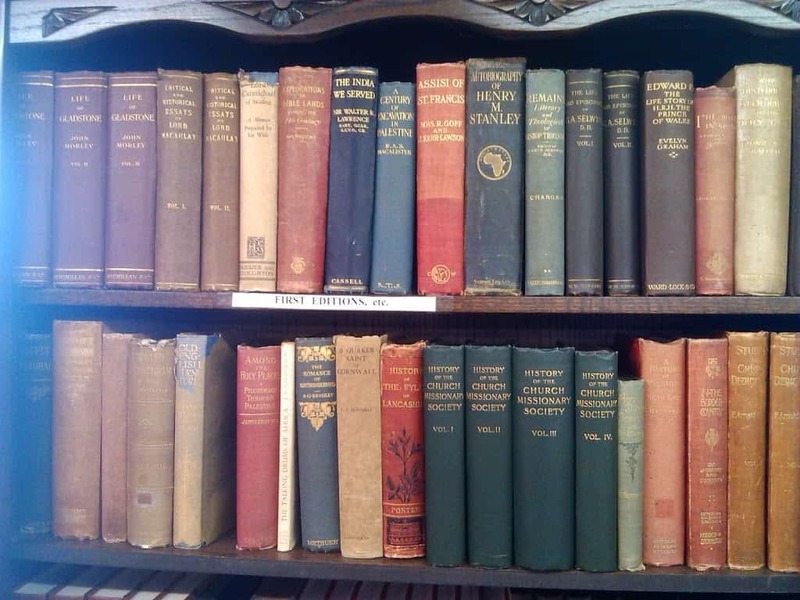 First editions, including a 4 Vol. 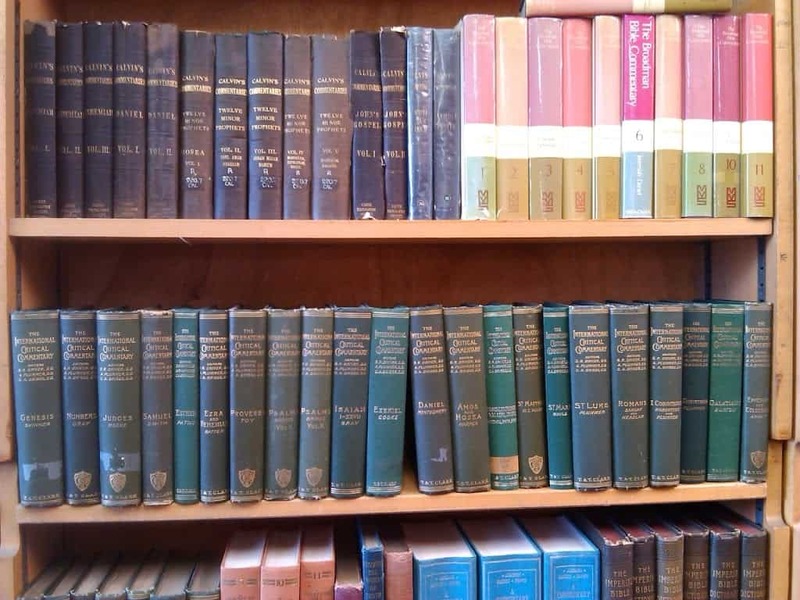 set of the History of the Church Missionary Society. 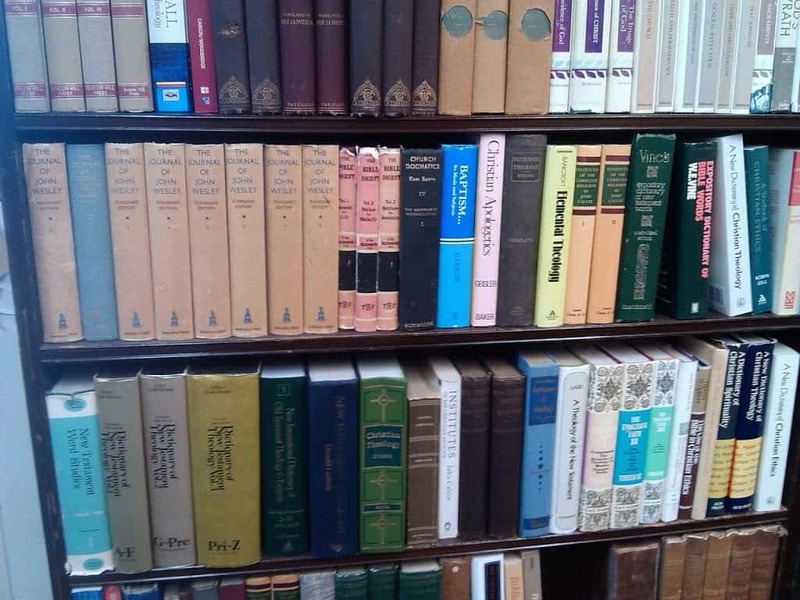 Mixed Christian hardbacks and paperbacks. I hope this has whetted your appetites a little. 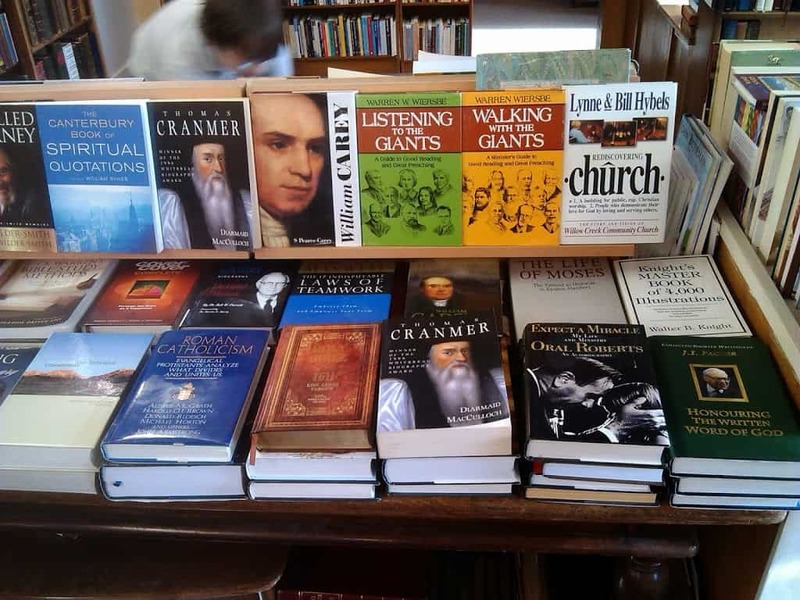 Profits from sales are used to fund the transport of Christian books to Africa and other locations around the globe. Click here to learn more about Book Aid’s fantastic ministry. To get to the London Bookshop by train, get the train to Lower Sydenham station, cross the footbridge and walk up to the main road (Kangley Bridge Road), turn left, walk for 3-5 minutes and you should see the headquarters building above across the road from you. I am always keen to try to include good theological material written from a non-Western viewpoint. 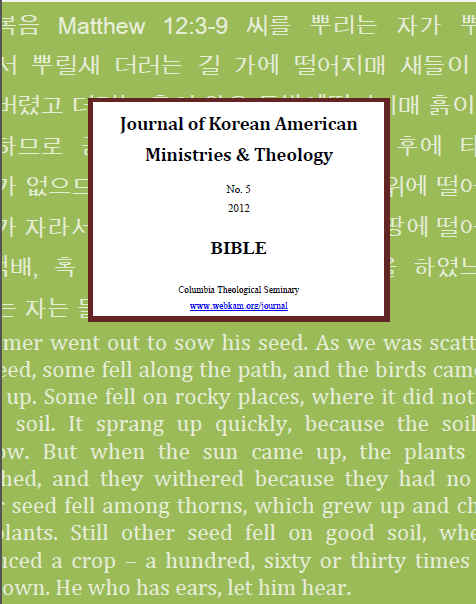 For that reason I was very pleased to get permission to host the Journal of Korean American Ministries & Theology. The material is already on-line on the official website, but I have broken the journals down into individual articles and created a new table of contents here. 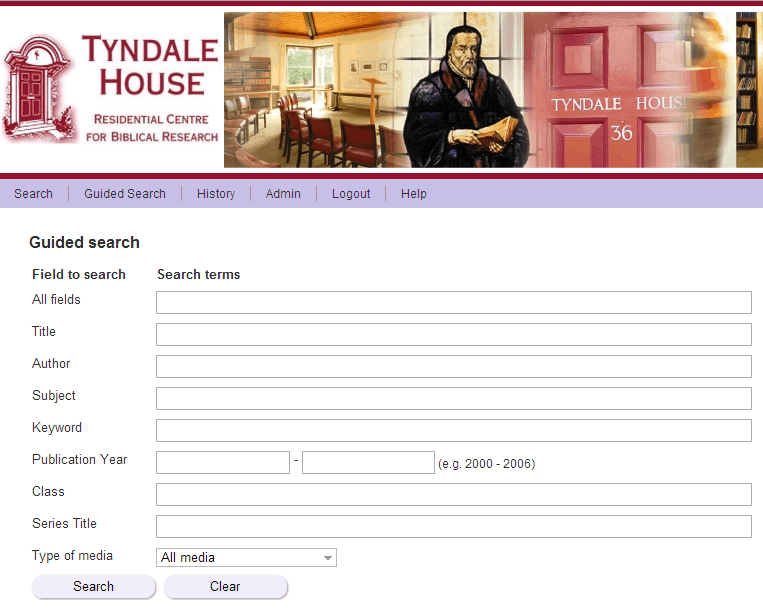 For several months Theology on the Web has been working with Tyndale House in Cambridge to develop its online Global Library. The project is now ready for more extensive testing, so if you go here and select “online resources” from the “Types of media” drop down box you should be able to search within more than the 4,000 theological articles from biblicalstudies.org.uk currently included in the database, plus many more linked from elsewhere on the web. More material is being added as time and funding allow. Do let Tyndale House Library how it works for you.